We've seen the new F3 Plus that has a dual camera setup on the front. 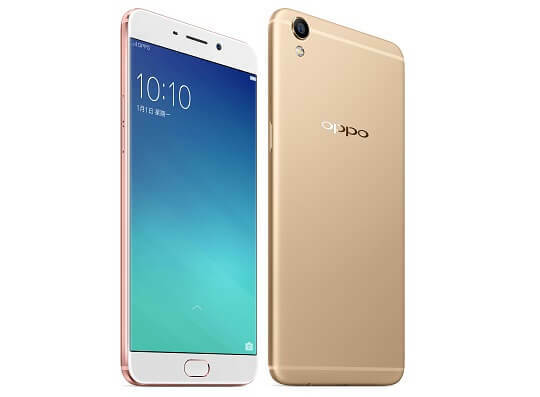 This time, OPPO is on its way to release a new device, which could possibly be the successor to the R9 and R9 Plus, the new R11. 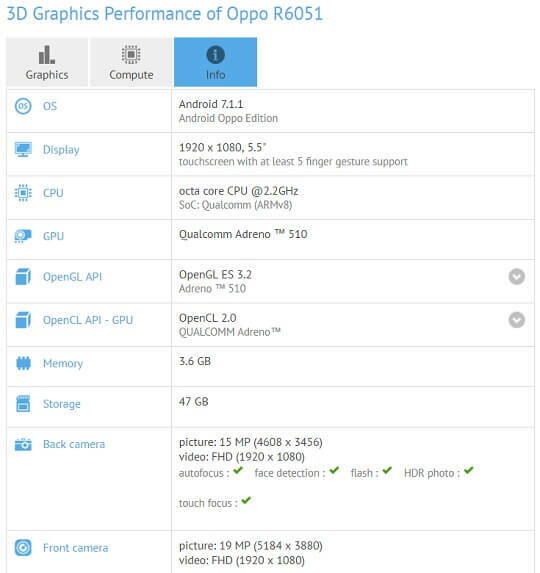 Referred to as the OPPO R6051 on GFXBench, the R11 will be sporting a 5.5-inch Full HD display. It will be powered by a Qualcomm Snapdragon octa-core chipset clocked at 2.2GHz coupled with an Adreno 510 GPU, with 4GB of RAM and 64GB of internal storage. The specific chipset to be used hasn't been confirmed yet, but there are rumors that it could be the new Snapdragon 660 SoC or older Snapdragon 653. If OPPO is going to focus on dual cameras, then the new R11 might become its first phone with a dual camera setup on the back. The GFXBench listing otherwise revealed nothing of the sort, although we can't be sure as the benchmark couldn't detect single and dual cam setups. Based on the listing, though, the R11 will have a 16MP rear camera (could be dual) and a definitely solid 20MP selfie camera. We still have a lot to learn about the new OPPO R11. It could have a Plus version and could use OPPO's new 5x Dual Camera Zoom technology. One thing is for sure, though, this new phone will once again focus on camera performance.